Taxes are painful. To help you reduce the bite, FSB spoke with top experts and compiled this list of tips for businesses looking to beat the taxman.  Read on for other stealth tax-trimmers like the Domestic Production Activities Deduction (if you make stuff in the U.S., you qualify). You should take every single write-off you're due - and what's available may surprise you. Here's a classic example: Small companies frequently miscategorize the cost of business-trip hotel stays as entertainment (50% deductible) rather than lodging (100%). The feds are only too happy to hang on to this windfall. 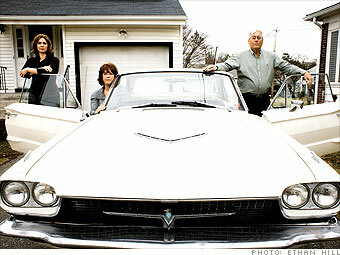 Linda Rey (pictured at right, with sister Laura and father Frank) is co-owner of Rey Insurance, a broker based in Sleepy Hollow, N.Y. She and her partners (who also happen to be family members) hold a monthly dinner at a restaurant, which they treat as an offsite strategic planning meeting (100% deductible) rather than a business meal with a client (50%). Even with coffee and Dunkin' Donuts for the Friday morning meeting, she always takes the full 100% deduction, while many companies wrongly file this under meals and take half. "I pay careful attention," says Rey. "Otherwise you end up giving a lot of money away."